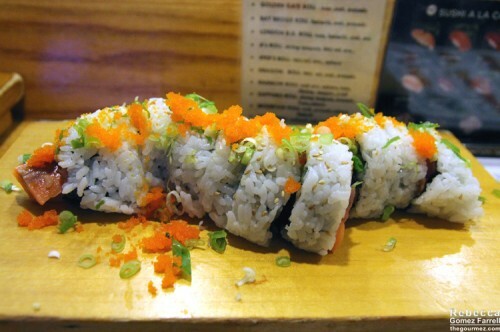 Sapporo is the sushi restaurant’s answer to the overly familiar neighborhood pub. If you need to be greeted warmly by a hostess and have your every need catered to in a reasonable time frame, I’m not sure it’s the place for you. There’s nothing wrong with those expectations, but Sapporo won’t meet them. 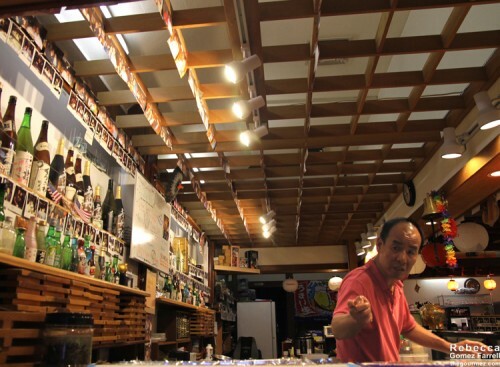 Instead, the tiny staff—consisting of one waitress and the sushi chef Sam—will get to you in due time, and your drink order will likely be yelled across the restaurant. As soon as you see the restaurant’s interior, you’ll realize it’s a playful joint. 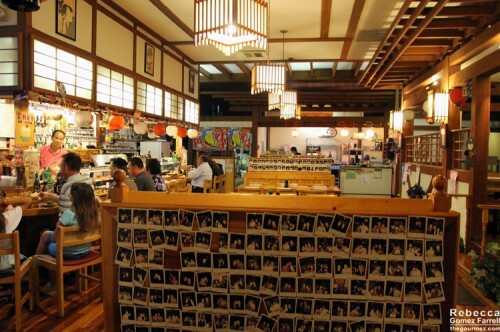 Keep yourself entertained while waiting for service by looking at the polaroids covering the walls and booths. And keep that playfulness in mind as you realize Sam’s banter with the regulars is far more entertaining than the photos. Otherwise, you may be worried actual insults are being flung around rather than friends skewering each other. Heck, not knowing for certain is part of the appeal. 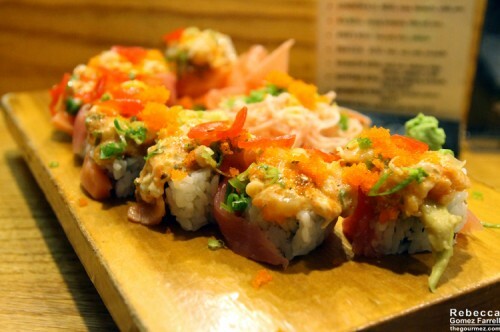 But I think the existence of a Crazy Sammy roll resolves that question pretty well. For a casual, sit-down sushi restaurant, the prices are what I’d expect: $4-8 for simple rolls and $11-18 for fancy ones. Sam’s presentation is homey rather than finessed. I found that refreshing after my last sushi meal at another new-to-me spot. That place had similar prices, perfectly packed rolls, and almost no flavor. Sam knows how to show off his fish, and he’s fast too. The Crazy Horse has tuna, salmon, yellowtail, avocado, and vegetables. The fish tasted great, but I did think the rice needed soy sauce to counteract its sweetness. I didn’t have the same concern with the Paradise roll, perhaps because of how much was going on within it. It’s yellowtail, avocado, tuna, salmon, and scallops topped with a sri racha sauce. That is assuredly fake crab piled in the middle, which made me ridiculously happy. I have a forbidden, long-lasting love affair with artificial crab, what can I say? Eating a little of it with each bite curtailed the bold flavors, making for a more delicious combination overall. 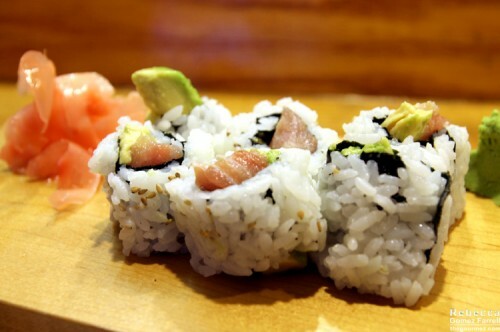 Our simplest roll was the yellowtail with avocado. Again, the rice was too sweet, but the fish shone. 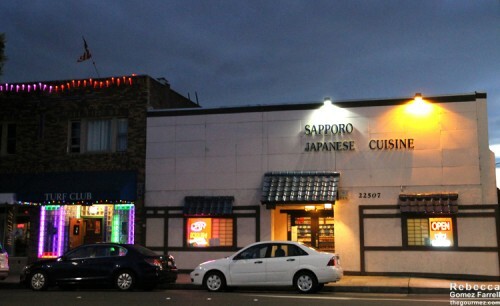 If you’re game for good value, messy aesthetics, and customer service that leaves you guessing, Sapporo would be a great choice. If you’re not…then it’s probably not for you. But it’s definitely for me.